I have just returned from Haworth, where I managed to get hold of a few old copies of the Bronte Society Transactions. Here is an extract from an article I always wanted to read. It deals with Charlotte Brontë's changing the eye colour of Caroline Helstone in Shirley from brown to blue. In the beginning she is said to have soft brown eyes. Later on, she is said to be blue-eyed, a few times. Ellen Nussey, Charlotte's best friend and possible inspiration for Caroline Helstone. Caroline's appearance fits very well with what we know of Ellen's. The pliant, rounded form, the "little Raffaele head" on the slender neck, the abundant, curled, brown hair, the brown eyes, the clear forehead, the gentle expressive face, the modest and pretty dress are what we see in Charlotte's water-colour of her friend as a schoolgirl ... It is not possible, however, to relate all Caroline's character to what we know of Ellen. Certainly, the moral sturdiness, underlying her tremors, was shared with Ellen, also the occasional Yorkshire downrightness; where the likeness disappears is in regard to the intensity of Caroline's nature. This intensity of feeling and fantasy is revealed in situations which Ellen Nussey never occupied, but which allow the expression of parts of the writer's own experience. Caroline has "loved before she was asked" and she is "disappointed," and during a large part of the book she is expecting, with what justice and endurance she can summon up, to see the union of her friend Shirley and Robert Moore, the man she loves. This was a situation into which Charlotte Brontë could pour, with necessary changes and developments all that her stay in Brussels and her relations with M. Heger had taught her of herself, as she could pour into Caroline's talks with Shirley her own grandiose and romantic imaginations in her own magniloquent speech. Charlotte herself denied to her husband that Caroline Helstone was a "presentation" of Ellen Nussey, and Ellen Nussey told William Scruton that "as a blind" Charlotte would sometimes form one character out of two living models. It has followed then that critics have usually explained Caroline Helstone as a fusion of Ellen Nussey's appearance with Charlotte Brontë's emotional and imaginative life. Thus Dr Phyllis Bentley writes in The Brontes: "Caroline shares some qualities with Ellen Nussey though her soul is Charlotte's." Caroline's home, a parsonage with old graves under the back kitchen, and her sisterly relation with Shirley (known to be a "representation" of Emily Brontë in happier circumstances) are there to confirm the fusion. Tompkins speculates that Caroline might be based on Anne. Emily Brontë however had another sister, Anne, with whom she was, in Ellen Nussey's language, "entwined" in far closer harmony than either shared with Charlotte. Tompkins quotes a Dr Spens. It seems to me just possible that Louis was an afterthought that her first intention was to give Shirley to Robert Moore and to let Caroline die of a broken heart. But the shadow of the death of Anne which took place in May might well alter her purpose. Mrs Gaskell tells us that the first chapter written after Anne's death was the 24th - that called The Valley of the Shadow - in hich Caroline goes down to the gates of death, but returns. Now Louis makes his first appearance in the preceding chapter, and up to that point the way has been prepared for the gradual decline of Caroline. It would, I think, have been a greater book, if the author had hardened her heart and gone on. But to use in a work of art the clear impression imprinted by the agony of the death of the prototype would naturally repel the bereaved sister. True, the few early references to Louis could have easily been written in; but Mrs Pryor's part is solid and well-developed early in the tale. What would have been her function in such a tragedy? Is it, moreover, strictly true to say that Caroline's "disease" is a broken heart. So what was the original plot of the novel supposed to be? Janet Spens argues that Louis is an afterthought; I doubt it, because he is mentioned early in the novel. Robert and Hortense are said to have another brother they haven't seen for some time, and it would be pointless to mention him unless he was meant to play a role. Tompkins suggests that he was inserted later, which might be true, because there is only one mention of him until his appearance 2/3 of the book later, as if it was hurriedly put in. There is also the strange circumstances of Shirley blushing in Robert's presence and saying nice things about him - enthusiastic things, like a worshipper. While this is later explained by her being in love with his brother it does not seem likely or true to life. And whatever her faults Charlotte would surely have known that, and it would not have occurred to her to write Shirley that way if Shirley had been in love with Louis in the first place. More likely, she had written so much (2/3) of the novel and decided to change the direction and motives of the novel, and feebly explain Shirley's worship of Robert by her secret love for Louis. She couldn't be bothered to re-do the first parts of the novel, because most of it was well- written, and it pained her to go through all the details over and over again. Tompkins observes there are similarities between Anne and Caroline. 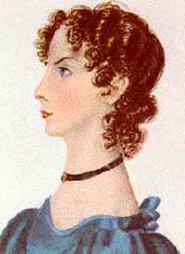 There are the blue eyes seen in Charlotte's miniature of her sister at the age of fourteen, "lovely violet-blue eyes," as Ellen Nussey was to call them in her Reminiscenes of Charlotte Brontë. There is the shyness, marked again and again in Caroline. 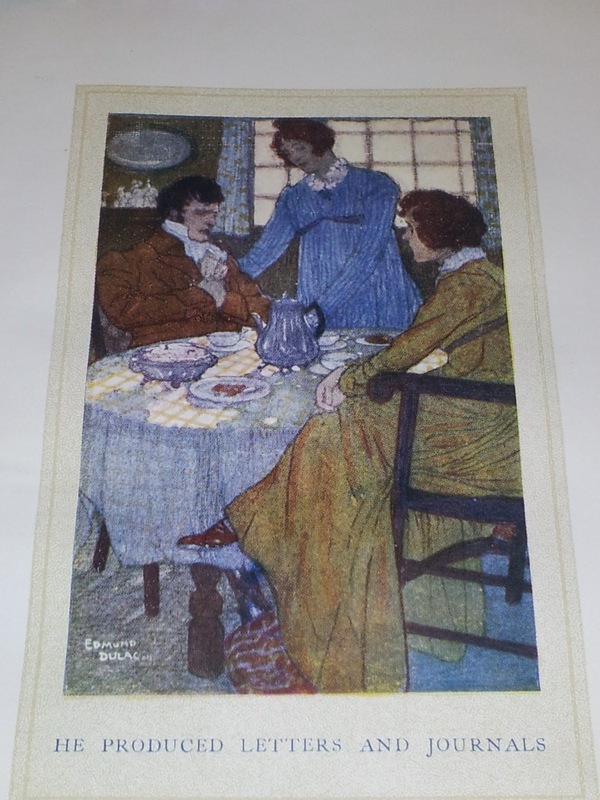 There is Anne's manner, which George Smith described as "curiously expressive of a wish for protection and encouragement," while Shirley says of Caroline that she "seemed as if she needed some one to take care of her." There is Anne's love of animals reflected in the little mouse that Caroline feeds in her bedroom and the old cat on her footstool. Anne had a "life-long" devotion for Cowper, and Caroline quotes "The Castaway." Anne, too, in her quiet, firm way was like Caroline, a feminist. More significant, perhaps, because somewhat in excess of what the context requires, is the account of Caroline's spiritual distress "At moments she was a Calvinist, and sinking into the gulf of religious despair, she saw darkening over her the doom of reprobation." This and her anguished prayer for faith in expectation of death bring to mind Anne's struggle with Miss Branwell's legacy of gloom. Lastly, and most important, the bond between Anne and Emily may suggest itself as the prototype of that between Caroline and Shirley ... With Shirley she plays imaginative games. However, Tompkins thinks it is more likely the Caroline is Charlotte. Charlotte too was shy. Charlotte had earlier suffered religious melancholy and had struggled for faith and self-discipline. Charlotte had played a prolonged, fantastic game, at one time shared with Emily. Charlotte, like all the Brontë family, loved animals. Charlotte, too, was a feminist. As for Cowper, "The Castaway was known to them all. Besides, the pupil-teacher relationship is definitely Charlotte's cup of tea. It must be a trademark in her fiction, along with Belgian heroes (this is my personal opinion, not Tompkins'). We must now venture another speculative step. It seems as if Charlotte, having reached her decision and evolved an alternative course for her novel, turned back and rewrote Chapter XXIII "An Evening Out" in which Caroline spends an evening at Hollow's Cottage, for it is here that her eyes are first called blue, and here that Louis Moore arrives at Briarfield. There is an incipient cheerfulness about this chapter, as if the lines of the story were turning upward, that makes the dip of our path into the Valley of the Shadow something of a surprise. Caroline is vigorous, even vivacious, "in light, bright spirits," and her creator seems to betray a little embarrassment in handling her. She is called "glad, simple, and affable in her demeanour," and we are reminded in brackets that what is meant is "(glad for the night, at least)", and that "the Caroline of this evening ... was not ... the Caroline of every day. We perceive, too, that Louis's arrival must mean some rearrangement in the pattern of characters. The dawn has plainly broken before we are plunged into the darkest hour. It is, taken by itself, a baffling arrangement, most readily understood as the result of the need to start Louis Moore off on his salvage-work as soon as possible. So is it possible that Robert was meant to marry Shirley, and Caroline dies or remain single out of unrequited love? I don't know, but possibly not. Shirley may have been intended to be in love with Robert, but we know that Robert is in love with Caroline. Shirley may have been spared the horrible fate of a loveless marriage, because she is pictured as happy and fortunate, unlike Caroline. Alternately, Shirley may have been meant to be in love with handsome, interesting Robert, and then lose interest in him, and then fall in love with quiet but steady Louis. (After all, Robert says dashing things to her, almost lover-like, and seems to be under her spell - an infatuation on his part. Only Charlotte changed this later). It still doesn't explain the abrupt appearance of Louis Moore, but it might have been contemplated by Charlotte herself. Robert's love for Caroline would render him an unfit husband for happy Shirley. If this is the case, Charlotte would have introduced a heroine who loves twice earlier than Villette which is where this first happens in her novels. But there is a counter-argument. Early in the novel Mrs Pryor overhears Shirley whistling a tune and expostulates her and asks her where she learnt that tune. Shirley replies she forgot, it was a long time ago, but she did hear Robert whistling that tune recently. Now it is possible that both Robert and Louis hummed the same tune, since they are brothers, and under Louis' tutelage Shirley heard him whistling that tune years ago. This small exchange hints at Shirley's feelings for Louis, and the subject of this tune is never brought up later. So this would indicate that Louis' role was thought up early in the novel. Unless it is an insertion, but a small trivial matter like that would not be likely to be inserted later, especially when Charlotte does not bring up the topic later. Possibly Charlotte forgot about it. A possible explanation is that Louis was meant to be a character early on, but she didn't know how to incorporate him into the novel, and so awkwardly introduced him. We also see that the original plan of the novel was on a grander scale, and if she had been capable, the novel would have been much longer and of better quality. Louis' role might have been among one of those plans, but badly worked out till 2/3 of the novel. Tompkins thinks it is unlikely that Caroline was death-doomed in the beginning, because she suffers from agonies and desires death several times in the novel, and at the climax of her emotions, which occurs early on, she survives. Instead "Caroline may have been designed for single life." This would mean that Villette's plot, where Lucy remains single, would have been partly used earlier. Caroline, for all her delicacy, is morally sturdy. She does not submit weakly to disappointment or to her empty life. Her courage varies, but is always renewed. Her reserve, assailed by Moore's self-indulgent spells if kindness, ade possibly by their family relationship, is always re-established. Change too ... plays variously in her struggle, now increasing her burden, now offering her some consolation. She is engaged in a long. dreary effort to accept her life, deprived of the domestic affections she had expected to centre in. Fluctuation is natural to such a condition and Caroline's changes of mood can be accepted as part of the book's original intention. she experiences hours of intense misery, and they cost her health and peace; but they pass, and she rallies. After the initial heavy blow, her disillusionment on the subject of Moore's love, and she is absorbed in unhappy contemplation of a long life of useless spinsterhood, until she visits the two old maids of the village, and resolves that it is "despicable ... to pine sentimentally... to be inert... to grow old doing nothing." Out of her shrinking withdrawal from the eyes of the other girls of the district she is roused by the coming of Shirley and Mrs Pryor and the sympathy established with them. A "new channel" is opened for her thoughts, and the "impetuosity of their rush" is abated. Then she has to watch Shirley and Moore darwing together, and feels "less sanguine than ever in hopeful views of the future: less indulgent to pleasurable retrospections of the past." The moonlight scene at Fieldhead follows, and is paid for by "racked nights and dismal days." Caroline's longing for her mother is obvious early in the novel, and Mrs Pryor comes in early too. Supposing Caroline was meant to be single, is it possible that her yearning for romantic love (Robert) is supplanted by family love (Mrs Pryor?) There are traces near the end of the novel that despite not being with Robert, she is happy because she has found her mother. Was Charlotte intending to stress that family love is superior and more steady that romantic love? This would mean a happy ending - or a semi-happy ending, because she would then be happy with her mother. As the overall tone of Shirley is very complex, both happy and sad, and the characters' motives and temperament both good and bad (there is no one answer), a similarly complex ending might have been in store. Mrs Pryor nursing Caroline. 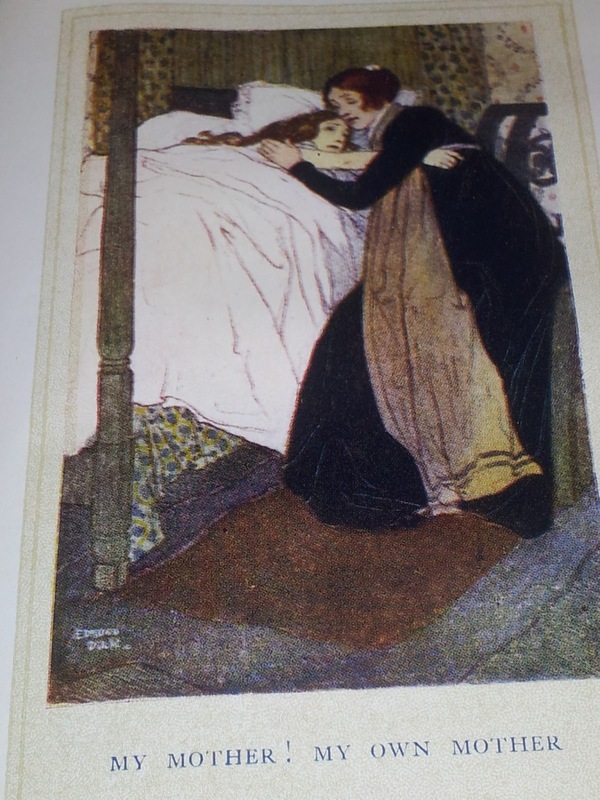 This is from the 1922 edition of Shirley illustrated by Edmund Dulac. Tompkins doubts Caroline was meant to die. Her illness is threatening, but Charlotte Brontë has already made it clear that Caroline's constitution is sound. In Chapter XI she is described as "in that state, when, if her constitution had contained the seeds of consumption, decline or slow fever, those diseases would have been rapidly developed." It did not. "I have good health," she says cheerlessly, when she contemplates her empty life. She gets pale and thin, and her eyes are languid. "Most people said she was going to die. She never thought so herself: she felt in no dying case." So the illness chapter might be an exercise in venting her unhappiness over Anne's death. She did not want to kill Caroline, but she had to get off her frustration in some way by writing about a near-death. I doubt that Caroline was initially meant to be near death, but she was meant to go off to the Highlands with Shirley. Shirley goes on holiday as planned, instead of being with Caroline. This is ostensibly to let Mrs Pryor bond with Caroline, but there must be a reason why the Highland holiday is brought in. It is still unlike Shirley to leave her ailing friend alone with Mrs Pryor. It's interesting to think that Charlotte made family love superior to romantic love; her mother, not her beloved, visits her. And Caroline's inability to get on with other young ladies in the district would render her lonely and intense. 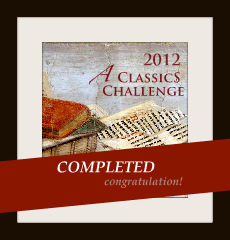 We are now in a position to make a fair guess at the original course of the book. Caroline as her creator declared, is a fictitious character, an "abstraction." "Qualities I have seen, loved, and admired, are here and there put in as decorative gems," Charlotte wrote to Ellen Nussey, "to be preserved in that setting." In addition to the gems, some of which come from Anne's treasury, she carries like all Charlotte's heroines, the Brontë stigmata; but her circumstances, in some respects close to those of the Brontë sisters, are in other respects quite different. Her love-story has little likeness to anything we know of Anne, or Charlotte, or Ellen Nussey, except in the nature of the strain it imposes. Where she is like all three is that, early in the book, she faces the prospect of single life, but, unlike them, faces it unsweetened by family affections and without, in her own estimate, the justification of usefulness. The two old maids, Miss Mann and Miss Ainley, stand at the beginning of her life's journey, and cross her path as she proceeds. She is forced to consider the small degree of sympathy, respect, or even gratitude that old maids earn. She is quite sure that she is going to join their ranks. Is it not likely that, as Charlotte Brontë first conceived her novel, this is what she would have done? Spinsterhood lay before the three Brontës and many of their friends. In Jane Eyre, there had been no room for this preoccupation; in Shirley, as afterwards in Villette, the conditions were there: of the two charming, womanly creatures who stand at the beginning of life, one, already more favoured by fortune, was to be blessed by love. [This happens in Villette: the fortunate pretty girl gets a husband, the depressive heroine doesn't.] All things were to be given to her, and the other was to do without. She was not to go uncomforted, but the prize in reserve for her was the prize for which she consciously struggled, not the unanticipated bonus of marriage with Robert Moore, but a retrieved serenity and useful activity, and what was to the Brontës the absolute solace of family love. If this was to have been Caroline's lot, much that now hangs loosely on the story, especially the feminist passages, would have been very much to the purpose, the climax of Mrs Pryor's return would not have been obscured by Robert Moore's change of mind, and the cost of such a prolonged struggle as Caroline waged would not have been abolished, even in her victory. A whimsical idea occurred to me that Shirley and Robert may have been initially destined for each other, and Caroline for Louis. Shirley is active and vivacious, Robert is active and handsome. Caroline is in the shadows, quiet, passive and reflective, Louis is similar. Their temperaments might then be suited to each other if such pairings took place. Instead of Shirley changing her mind over which suitor is better, it might be Caroline changing her mind over her lover - from being madly in love with Robert, to a quiet steady love with Louis. This would fit in with Louis' whistling tune early on in the novel, and confirm he was meant to play a role. There are several snags with this theory, however. I cannot imagine Charlotte making her heroine so obviously madly in love with a hero only to give him up for a lesser passion. She would have scorned making a heroine surrender a deep passion for someone she cared less for. Besides, we know that Caroline and Robert get along well, that he is intelligent and educated and capable of appreciating poetry - an indication that he and Caroline are temperamentally suited to each other. He is also in love with her. A common plot device in Victorian fiction is the quiet heroine is in love with the hero, who loves the lively girl. Quiet girl pines away, and after being disillusioned by the lively girl (or other circumstances) the hero realises what he has missed in the quiet heroine. This has been used in Wives and Daughters by Elizabeth Gaskell, and was surely used in many novels before then. (It's even been used in Dinah Mulock Craik). In David Copperfield, which came out around the time Shirley was written, and later in Little Dorrit. So Robert's brief (supposed) infatuation with Shirley (he wooes her and seems entranced by her, and yet able to be her superior) might have ended similarly. In this case this would mean he was destined for Caroline. The clumsy plot then would be a problem with the middle rather than the ending of the novel. Despite the depressive chapters there are numerous instances of comical incidents, and tender moments between Caroline and Robert, which hints at a happy ending. Curiously Shirley plans a holiday with Caroline to Scotland, to cheer her up. This doesn't work out as Caroline falls ill and is cheered up by Mrs Pryor instead. But why mention the holiday in the first place? Why say anything at all? Why not say something else? I suspect that Caroline was meant to go on holiday, or undergo a series of incidents involving the holiday, where she makes discoveries about Shirley/Robert/Louis. Maybe observe the chemistry between Shirley and Louis, or get to know Louis better. (Caroline/Louis ship here. Though I dislike Louis). Since Louis is the tutor of Henry, he might be joining the Keeldar-Sympson party to Scotland. But if this was meant to be the case this was changed so that Louis befriends Mr Hall and goes with him to the Lakes. (Interesting. Charlotte loved Edinburgh and Walter Scott and Burns; she also loved the Lake poets, notably Wordsworth, and wrote to Southey). What deflected Charlotte Brontë's arm must have been ... the identification of Caroline with Anne in Chapter XXIV. I think it is only here and in the beginning of the succeeding chapter that it wholly takes place. It is the blue-eyed Caroline on her sick-bd that Charlotte longs to console. Both her figments now wore the appearances of her two dead sisters, as well as their qualities. She could not treat one less lovingly that the other. To both of them she allotted the happiness that life ha denied them, and in so doing effaced the likeness. Since Caroline becomes more like Anne as time passes, we can accept the theory she is a tribute to the dead Anne. Caroline may originally be meant to be Charlotte's alter-ego, but after Anne's death she became Anne. This may explain the change of ending, if any: it is easier to idealise another person's fate, but Charlotte would have found it harder to idealise her own fate. She knew she would be unhappy and could see no hope for herself, and that is why Lucy remains single in Villette. I do not really think that Caroline was destined to die or remain single. Several times, before that fateful chapter, not only does Robert show tender affection to her, but Shirley herself observes that Caroline is in love with Robert, and scolds her for not showing affection to Robert. Shirley perceives there is something between them, which is true. She is encouraging their relationship. Robert would still have proposed to Shirley, as he does in the final ending, but whether he would have been refused is not certain. Knowing he and Caroline like each other, Shirley would have realised he would not make a good husband. There is also a section, before Chapter XXIV, where she asks him his opinion of Caroline, and says she seems quiet, sedate, peculiar, but flashes out in fire occasionally. She is defending Caroline. 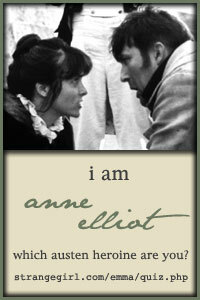 Despite the fact Shirley is not like Emily at all in character, and Caroline partly Anne, it shows how great Charlotte's genius was: though she could not create characters that were exactly their real-life ocunterparts, she could create believable and vivid characters, though they are different. We think Shirley is a failure because she is not Emily as was meant to be, but she is still vivid and believable - Jane Carlyle thought Shirley was like her, and Charlotte had never met Mrs Carlyle. There is another way Caroline is like Anne: Caroline is loved by her Sunday-school pupils, as Anne was. One pupil reports that among the sisters, Anne was the nicest. Charlotte was not fond of most children. Caroline is not at ease with any of the young ladies around her age, but she is liked by the younger children, not only her pupils but the Yorke children, who seek friendship with her (Rose, Jessie and Martin). Anne had no close friends outside home, but she was loved by her pupils the Robinson girls, and her only known friend at Roe Head school was a much younger girl, Ann Cook. Charlotte thought of Anne as child-like, and this may have been the reason why younger children liked Anne, the way youngsters like Caroline in the book. Fascinating. Makes me want to reread Shirley already. You don't like Louis but wrote fanfic featuring him? I don't like Louis because he's not realistically drawn and he is rude, domineering and egoistic. I know it's paradoxical that he's the hero of my fanfic, but I really wrote it to "correct" Charlotte's mistake. She seems to have changed the direction of the novel after Anne died so that gives scope for messing around with the characters. He's probably meant to be a sort of Romantic literary intellectual. Also I just love the world it's set in. Kind of like you writing fanfic of Twilight which you diss.